The drop in India's ranking in press freedom has been linked to the existence of a sedition law that encourages self-censorship particularly in a period of heightened nationalism. Note: This article first appeared on May 16, 2018 and is being republished on November 16, 2018, National Press Day. 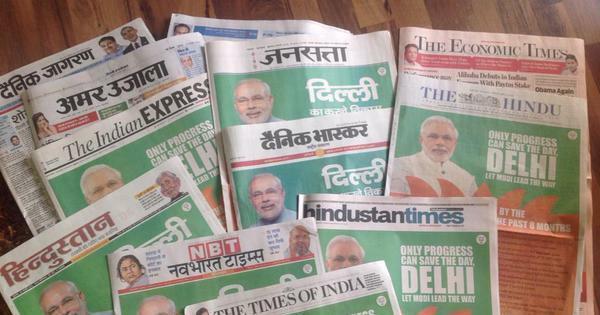 About a fortnight ago, on World Press Day, the fourth pillar of a democracy was celebrated. It was around then that the press freedom rankings were released by Reporters Without Borders (RWB), where India had slipped two points to 138, just ahead of Pakistan. While this continued low ranking is worrisome, Chandramauli Kumar Prasad, chairman of the Press Council of India (PCI) rejected it claiming the rankings “were based on opinion or perception” and not on statistical data. 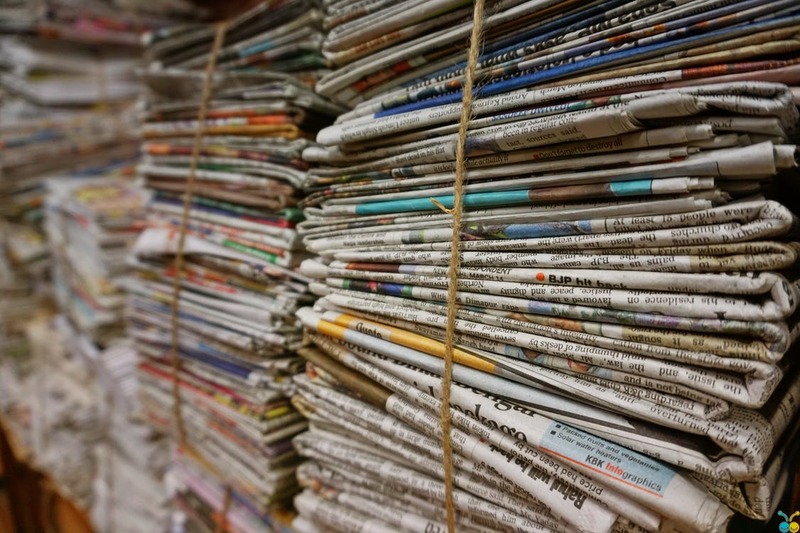 What the PCI seems oblivious to is that there cannot be any data to establish how free the press is or how muted the views of journalists are or their freedom to report. And there never can be, as fear in any case leads most people – including a journalist too – to turn a blind eye to incidents and facts, a pattern that establishes self-censorship. And ‘censorship’ is rarely defined in ‘company’ policy, as it is whispers, chatter and informal messages that establish the dos and don’ts in many organisations. The drop in ranking has been linked to the existence of India’s sedition law that encourages self-censorship particularly in a period of heightened nationalism. The ghastly murder of senior journalist Gauri Lankesh and the state of media outlets in Kashmir where some organisations have reportedly become the “targets of violence by soldiers acting with the central government’s tacit consent”, has also been cited as reasons. In addition, RWB highlights the killing of three journalists in 2018 while they were involved in professional activities. There is no doubt that the media freedom is under greater threat. Noted lawyer Fali Nariman told a gathering at the Press Club of India in New Delhi last June: “Freedom after speech – that is really what freedom of speech is all about”. He emphasised that “you are allowed to speak, speak as much as you like, but there is a fellow waiting there to nab you and out you in so you can’t speak again”! Even the RWB points out that hate against the differing views of journalist is dangerous for a democracy. Yet the decline in journalism and the state of freedom within the media is not a creation limited entirely to 2017 or the past four years alone. Even the UPA government in 2012 had sent out advisories to broadcast media on the criticism of the then prime minister Manmohan Singh by the opposition after his Independence Day address. But the truth is that the genesis of the situation goes deeper to several years earlier. Let us rewind a bit – almost three decades ago – when a leading English daily embarked on an ad campaign stating it cost less to buy their newspaper than a samosa! This instantly turned the newspaper into a product – a fast moving one – which was as spicy (and oily) as the street snack. As the media space expanded in the ’90s till now with over 400 channels and tens of thousands of newspapers and journals, competing with the price-point of a samosa, the Fourth Estate quickly reduced to a competitive business, finding a way to sustain itself. That at one time India’s cable network was the least expensive in the world and free to air channels even now cost less than a rupee a month – indicate the perils of a business that should not have been a business. As a result, prime time news was (and is) littered with advertisements which at times come with the power of submission to a corporate agenda. And every other daily gave up the sanctity of their mastheads and front pages to put business in the form of ads, way ahead of news. After a Supreme Court order in 1995 ruling that airwaves were public property and therefore a regulator was required to govern the broadcast sector, Parliament and various groups debated a policy. One of the main aspects of the various proposed notes was ownership of media outlets be it distribution such as cable networks and transponders or media houses – electronic or print. Examples from the US to UK to Australia were considered particularly when it came to cross media ownership or the ownership of multiple media companies across print, television, radio, Internet and so on, by a single entity. Such ownership patterns, as was seen world over, were in contravention of freedom of speech and plurality as it allowed significant control over opinion and perception of what is and what is not by a single powerful organisation. The policy never came and the question of ownership was not raised. An explosion of media took place, turning the Fourth Estate into an industry of competitive market forces. Price points of media defied actual cost and inflation, lending to greater competition and the trivialisation of content, particularly news. No wonder headlines changed, becoming as attractive as ad lines, aimed at garnering eye-balls, chasing audiences defined largely by marketing departments. This also meant the representation of news was bound to change. Journalists disengaged from the farmer and other minorities and powerless sections of India, reporting less and less from the ground. In fact, most recently, a senior journalist with whom I shared a panel, claimed his channel ‘also’ covered rural issues ‘even if they did not generate TRPs’ – sounding a lot like a corporate head speaking on social responsibility claiming that the balance sheet was not the only focus! 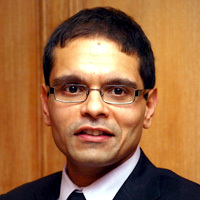 But as the changes occurred in the ’90s and later, many journalists started to lose their objectivity, getting as excited by a tax cut as a consumer would, describing budgets as ‘dreams’; expressing elation by the fanciness of a new car entering the market or the rank of India as a country to do business and the rise in the GDP or the success of Indians who had left the nation. When foreign exchange reserves touched $100 billion in December 2003, the press screamed it out prompting the noted economist, Kaushik Basu to write “Never before has dry economic news been celebrated so widely”. The hyperbole of emotive adjectives did not die down even in 2007-08 as India came out almost untouched by the global meltdown. And in time it was a habit to mix views with news and excitement with facts, where even the press appeared almost starry-eyed by the grandeur of the Narendra Modi campaign lapping up the size and comparison with the presidential elections of the US. As all of this happened, not necessarily in an absolute sequence, the realities of running a business hit several media houses. Some opted for private treaties and others openly allowed paid news legitimising the same with a pricing menu. Others sold their equity to large industry. With no policy framework in place, this was waiting to happen. Such incidences, for example, allowed the Reliance Group to own the Network 18. It was called a ‘bail out’ for the then promoter, Raghav Bahl, but it eventually cost the large corporation a voice and say in public opinion. Coupled with the growing reality of cronyism between industry and governments, the media was quietly emerging as a critical weapon that the two could share in a self-serving manner. It is no wonder why corporates have bought into or bought out several media houses. Surprisingly, the respected media man N. Ram, was quoted in The Hindu last October saying, “Nobody has figured out a viable business model for quality journalism”. While quality of journalism has to improve significantly, why should there be a business model if the media is the Fourth Estate and critical pillar of democracy? Think of it – the government runs without profit and loss as its prime criteria. It is to govern and provide certain services. The same applies for the judiciary and the legislature in different measure. The fourth pillar should remain unobliged and unapologetic if it is to remain free with a purpose of service to the nation. But back to today’s realities where press freedom or the lack of is not limited entirely by ownership or a failing quality of journalism or how the law on defamation is used. Fear is a critical component that curtails freedom. At one level it is the fear that the State might go after you for reporting on an issue that damages their image or questions their credibility. At another, the fear that the management might boot you out because you chose to carry two sides to a story, or questioned a policy that probably the owner had some interests in. In both situations, self censorship kills freedom. And if there are a string of deaths of journalists while at work or losing their job because they disagreed with a management diktat, then the fear runs deep and cages expression and consequent plurality. So the matter before us is not the 138 this year or 140 ranking (2014) or 131 ranking (2012). It is whether the press will get due freedom and if political parties are ready to address it through their manifestos. It would be a wonder if civil society stands up and makes the matter personal enough to emote over. And it would be even more powerful if journalists themselves came together to protect their right to expression as it is their diversity and plurality that will help us learn more about the length, breadth and width of what our nation is while checking the powers that be as the Fourth Estate.